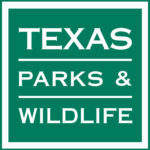 AUSTIN, Texas — Texas Parks and Wildlife biologists have completed a new stock assessment of spotted seatrout in Texas. 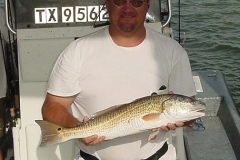 Spotted seatrout along with red drum comprise the two most important species sought by recreational anglers in Texas. 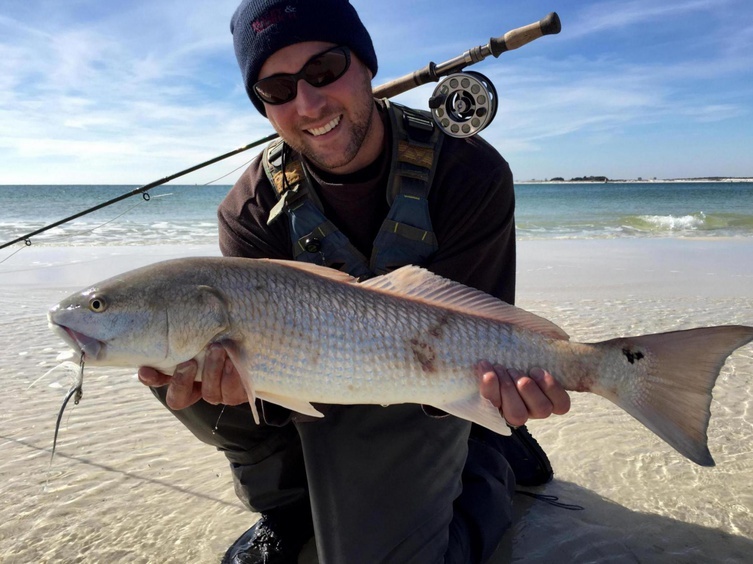 Recreational fisheries generate annually $1.3 billion in economic benefits to the state and support some 13,000 jobs, so the health of those fisheries is important. 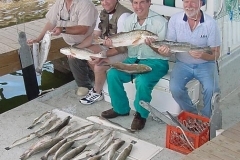 More than a year ago as Coastal Fisheries biologists were reviewing the impacts of spotted seatrout fishery regulations on that went into effect September 2003, the need for a more comprehensive look at the spotted seatrout fishery was recognized. 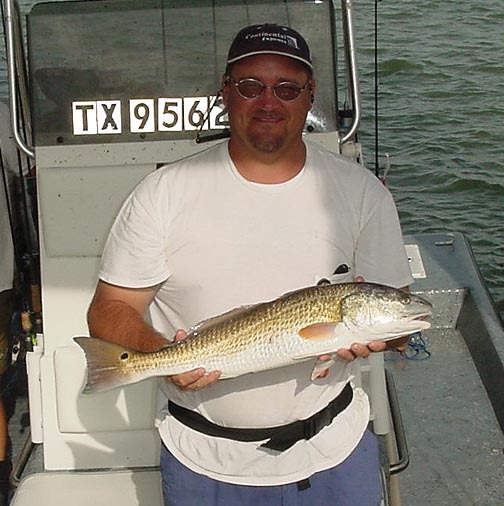 The resulting coastwide spotted seatrout stock assessment and review of coastal fisheries data completed by Texas Parks and Wildlife Department biologists in April delivered mostly good news about the ever-popular gamefish. Overall, it appears that spotted seatrout stocks in Texas are doing extremely well. 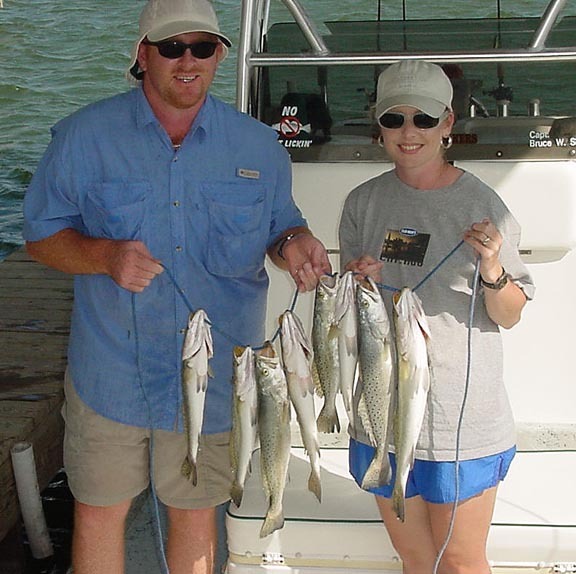 “From 1984 to 2005, the female population doubled, the spawning stock biomass has more than doubled and gillnet catch rates are up,” said Larry McKinney, Ph.D., TPWD’s director of Coastal Fisheries. McKinney said the one worrisome note sounded by the report — the second in-depth look at spotted seatrout populations this decade — is a clear downward trend in both the size and numbers of spotted seatrout in the Lower Laguna Madre. 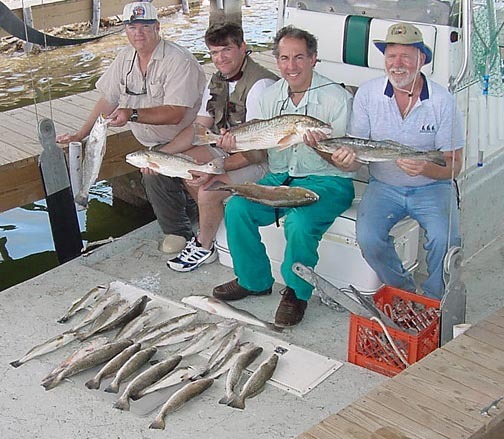 To be fair, the Lower Laguna Madre — from the southern end of the Land Cut to Brazos Santiago Pass at South Padre Island — is still a great bay for speckled trout. Catch rates here equal or exceed the best numbers posted by other bay systems, and — relatively speaking — there are lots of big fish. Biologists say they are not sure exactly why the numbers are headed south — a severe freeze in 1997, followed by what is now recognized as the drought of record for South Texas probably played roles — but they do think they can do something to change the downward trend. That’s partly because no matter what nature has thrown at trout populations, angling pressure has continued unabated. 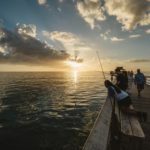 As Coastal Fisheries continues to look at the data and determine what options are best, if any, to return the fishery to the “very high quality” fishery, all management options will be carefully reviewed and considered. 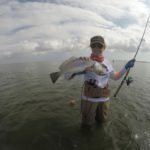 In addition to changes in bag and size limits an option would be to develop a regional management plan for the Lower Laguna Madre. 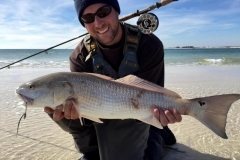 “Unique ecological aspects of different bodies of water sometimes allow for different management strategies,” Blankinship said, noting that inland fisheries biologists often set different harvest regulations for different lakes and reservoirs. McKinney said that, when TPWD was first granted the authority to make statewide rules (replacing a hodge-podge of regulations set by individual counties) in the 1980s, the aim was for consistency. 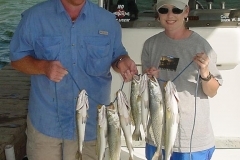 Whatever management strategies TPWD biologists recommend to help improve the Lower Laguna Madre trout fishery, input from recreational fishermen will be key, they said.